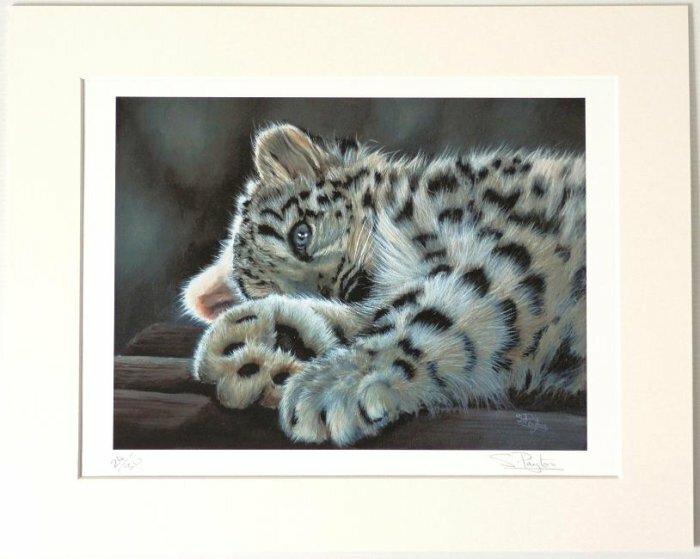 A limited edition print of an oil painting of a Snow Leopard cub going to sleep after a long time playing. This is a limited edition of only 30 prints. The print is mounted in a single, warm white mount that will fit a 16" x 20" frame. Please note -There are only 3 of this edition still available.